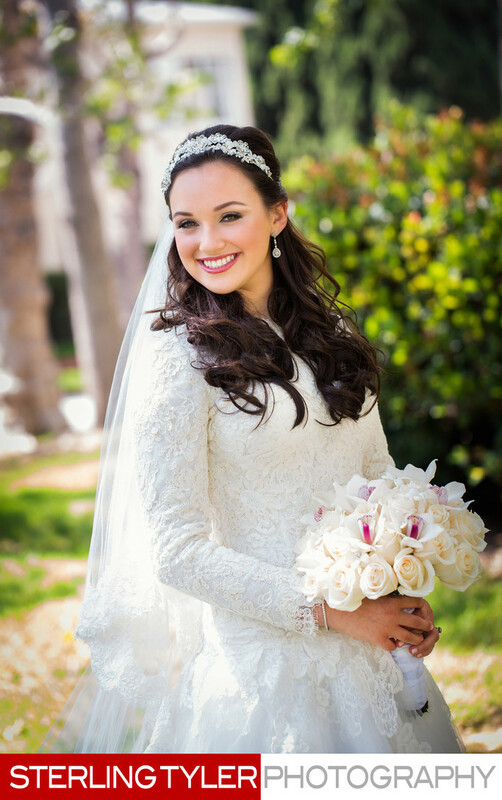 The beautiful bride poses with her flowers at a Beverly Hills garden wedding. Hair and makeup by Zulica Kessel. Planning by Events Enchanted.